The place of the novel as a literary form in Africa is contested. Its colonial origins and its unaffordability for most Africans make it a bad fit for the continent, yet it was also central to the creation of most postcolonial African national literary canons. These bipolar traditions remain unresolved in recent debates about Afropolitanism and the novel in Africa today. 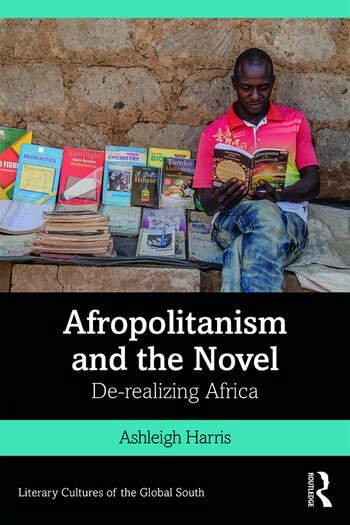 This book extends this debate, arguing that Africa’s ‘de-realization’ in global representation and the global economy is reflected in the African novel becoming dominated by Afropolitan, rather than African, aesthetics, styles and forms. Drawing on a close reading a variety of major African novels of the 2000s, the volume traces the tensions between the novel’s complicity with and resistance to such de-realization. The book argues that current trends and experiments in African non-realist genres, such as science fiction, magical and animist realism, Afro-futurism, and speculative environmentalism, are the result of a preoccupation with such de-realization. The volume is a significant exploration into literary form and its social, philosophical, political and economic underpinnings. It will be a must-read for scholars, students and researchers of African literature, politics, philosophy and culture studies. Ashleigh Harris is Associate Professor of English at Uppsala University, Sweden. She has published widely on Zimbabwean and South African literature. Harris is currently leading the ‘African Street Literature and the Future of Literary Form’ research project at Uppsala University, which collects, archives, and analyses sub-Saharan literary forms that are produced and circulate outside of the formal publishing industry. Harris is also a participant in the ‘Cosmopolitan and Vernacular Dynamics in World Literature’ research project, based at Stockholm University.